Born in the North-west Frontier Province in 1890, Khan Abdul Gaffar Khan missed the opportunity of going abroad for studies because his mother would not let him go. He started a number of national schools, so that the sturdy Pathans could first educate themselves. He organized the Pathans as the Khudai Khidmatgars-Servant of God-with brownish (or red) uniforms--they were called the Red Shirts. 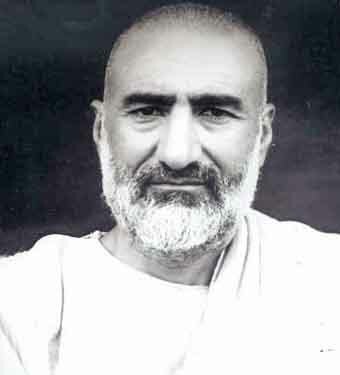 Khan Abdul Ghaffar Khan at Hashtnagar in Utmanzai, Peshawar, North-West Frontier Province, India, 1890; d. in Peshawar, NWFP, Pakistan, 20 January 1988) was a Pashtun (Afghan) political and spiritual leader known for his non-violent opposition to British Rule during the final years of the Imperial rule in the Indian sub-continent. He was a lifelong pacifist and a devout Muslim. He was known as Badshah Khan (sometimes written as Bacha Khan), the King of Chiefs, and Frontier Gandhi..
Ghaffer Khan was born into a generally peaceful and prosperous family in the Peshwar Valley. His father, Behram Khan, was a land owner, farmer, and the chief of the Mohammedzais ("sons of Mohamed") tribe of the Pashtun (Pathan) people. Ghaffar was the second son of Behram to attend the British run Edward's mission school -- an unusual arrangement since it was discouraged by the local mullahs. At school the young Ghaffar did well in his studies and was inspired by his mentor Reverend Wigram to see the importance of education in service to the community. In his 10th and final year of high school he was offered a highly prestigious commission in The Guides, an elite corp of Pashtun and Sikh soldiers of the British Raj. Ghaffar refused the commission after realizing even Guide officers were still second-class citizens in their own country. He resumed his intention of University study and Reverend Wigram offered him the opportunity to follow his brother, Khan Sahib, to study in London. While he eventually received the permission of his father, Ghaffar's mother wasn't willing to lose another son to London -- and their own culture and religion as the mullahs warned her. So Ghaffar began working on his father's lands while attempting to discern what more he might do with his life. In response to his inability to continue his own education, Ghaffar Khan turned to helping others start theirs. Like many such regions of the world, the strategic importance of the newly formed North West Frontier Province (NWFP) as a buffer for the British Raj from Russian influence was of little benefit to its residents. The oppression of the British, the repression of the mullahs, and an ancient culture of violence and vendetta prompted Ghaffar to want to serve and uplift his fellow men and women by means of education. At 20 years of age, Ghaffar opened his first school in Utmanzai. It was an instant success and he was soon invited into a larger circle of progressively minded reformers. 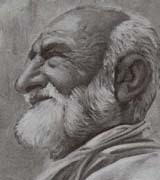 While he faced much opposition and personal difficulties, including the loss of his first wife in 1915 to an influenza epidemic, Ghaffer Khan worked tirelessly to organize and raise the consciousness of his fellow Pushtuns. Between 1915 and 1918 he visited every one of the 500 settled districts of the Frontier. It was in this frenzied activity that he had come to be known as the Badshah Khan (King of Chiefs). 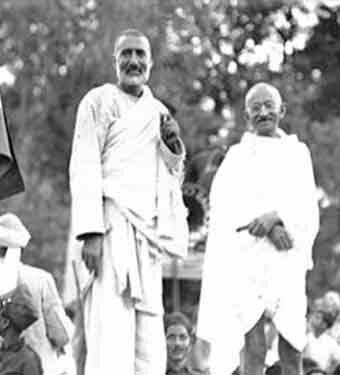 Ghaffar Khan forged a close, spiritual, and uninhibited friendship with Mahatma Gandhi, the pioneer of non-violent mass civil disobedience in India. The two had a deep admiration towards each other and worked together closely till 1947. The Khudai Khidmatgar agitated and worked cohesively with the Indian National Congress, the leading national organization fighting for freedom, of which Ghaffar Khan was a senior and respected member. On several occasions when the Congress seemed to disagree with Gandhi on policy, Ghaffar Khan remained his staunchest ally. In 1931 the Congress offered him the presidency of the party, but he refused saying, "I am a simple soldier and Khudai Khidmatgar, and I only want to serve." But he remained a member of the Congress Working Committee for a long time, resigning only in 1939 because of his differences with the Party's War Policy. He rejoined the Congress Party when the War Policy was revised. Ghaffar Khan was a champion of women's rights and nonviolence. He became a hero in a society dominated by violence; notwithstanding his liberal views, his unswerving faith and obvious bravery led to immense respect. Throughout his life, he never lost faith in his non-violent methods or in the compatibility of Islam and nonviolence. He viewed his struggle as a jihad with only the enemy holding swords. 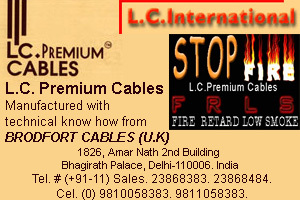 He was closely identified with Gandhi and he is known in India as the `Frontier Gandhi'.